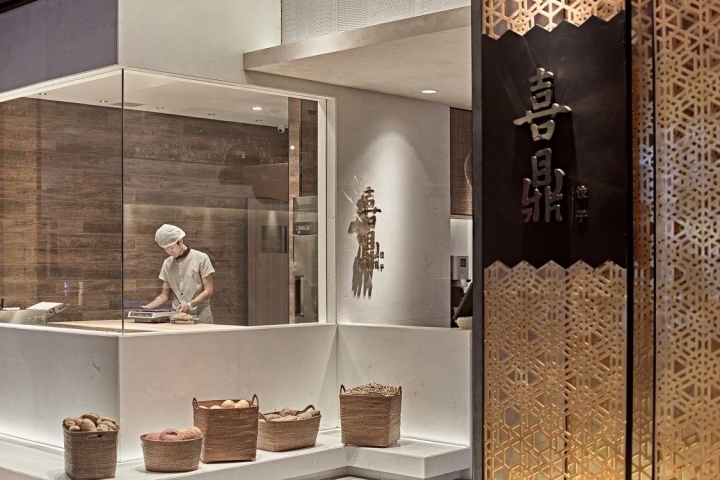 Think of a dumpling restaurant as the Chinese equivalent of an American sandwich joint. 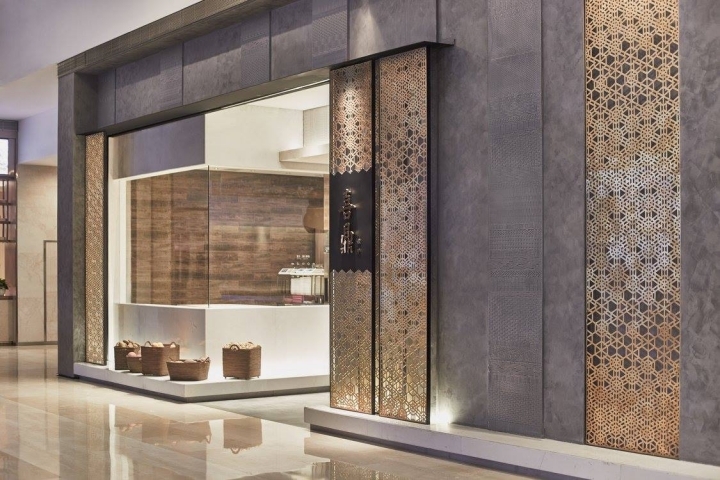 They’re on every corner and are an inexpensive staple of the country’s diet. 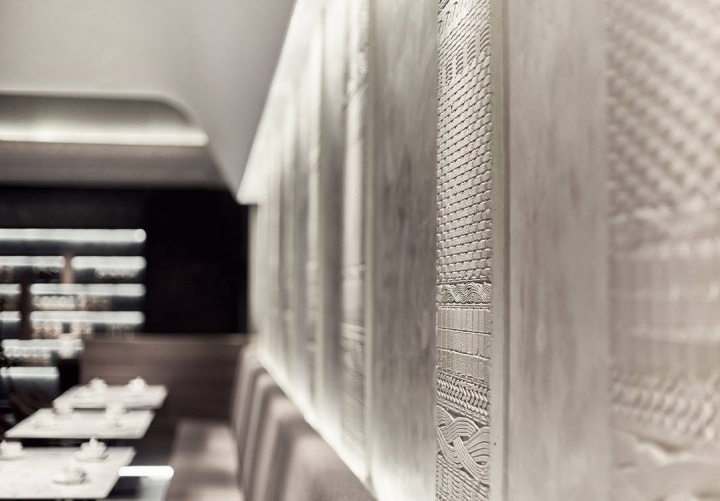 Nobody expects cloth napkins or complicated cuisine preparation, just a solid, taste-good experience. 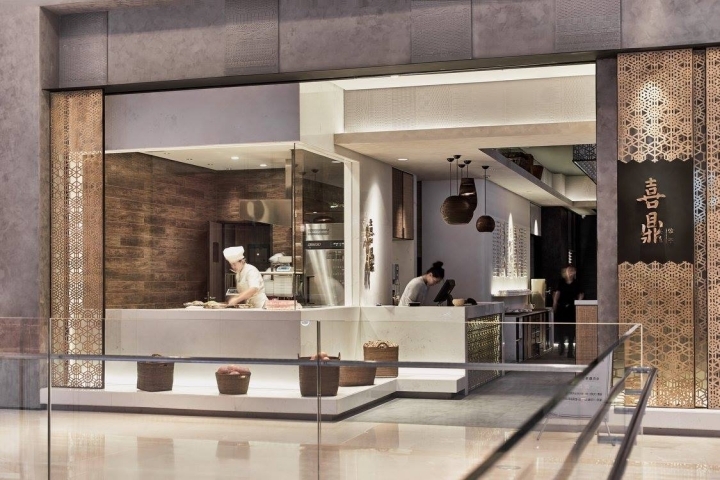 In fact, the usual method of service is fast-food-style. 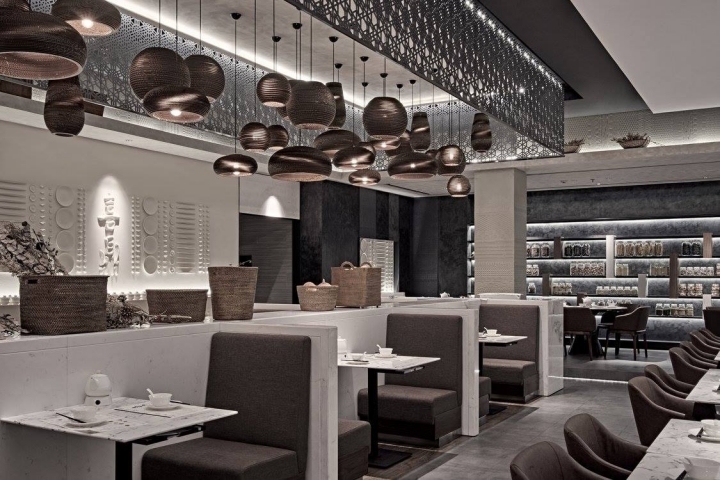 But that’s been turned on its head by the recently opened Xi Ding Dumpling restaurant in a mall in Dalian, a large city in northeastern China. 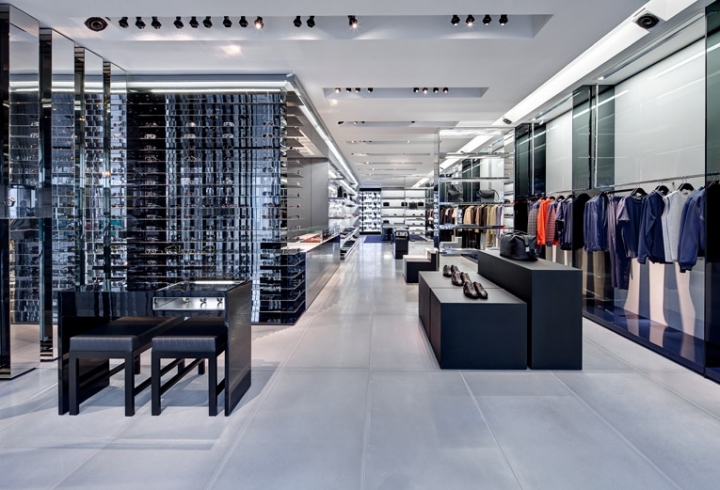 Xi Ding commissioned Shanghai-based RIGI Design to develop a new high-end identity for the brand. 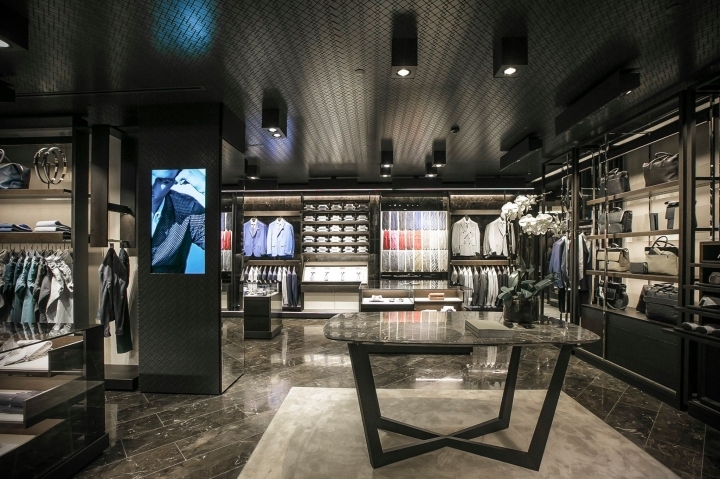 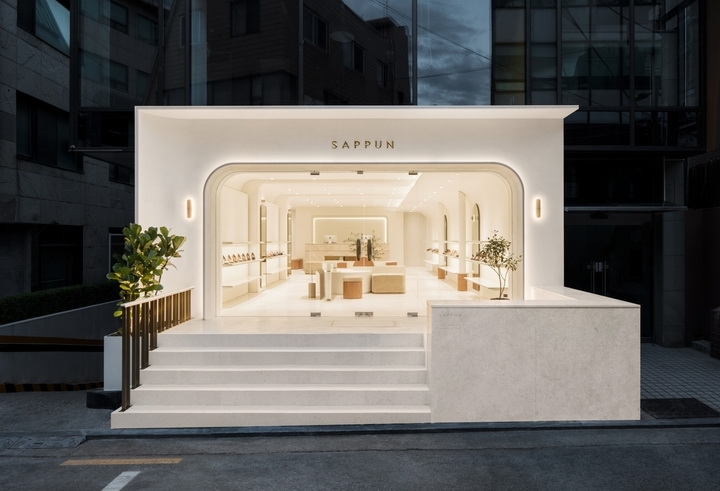 The overall design approach included a sleek and open entrance full of right angles and shiny surfaces, glass and marble, to portray the modern, high-end intention of the brand. 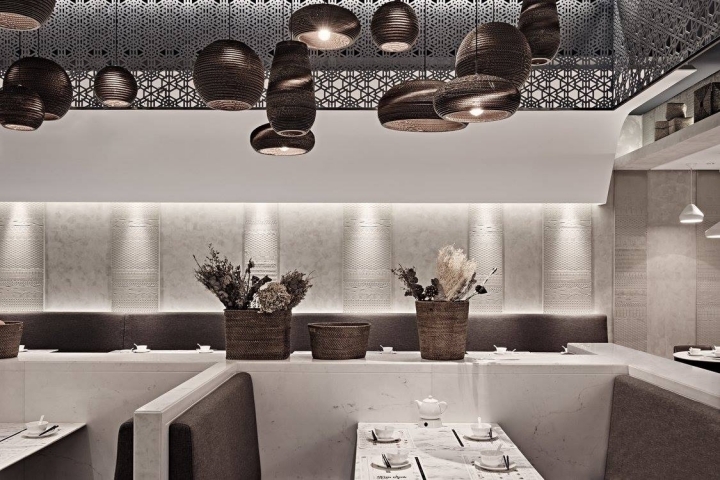 But Kai also infused the space with material choices that borrowed from centuries of dumpling-making heritage. 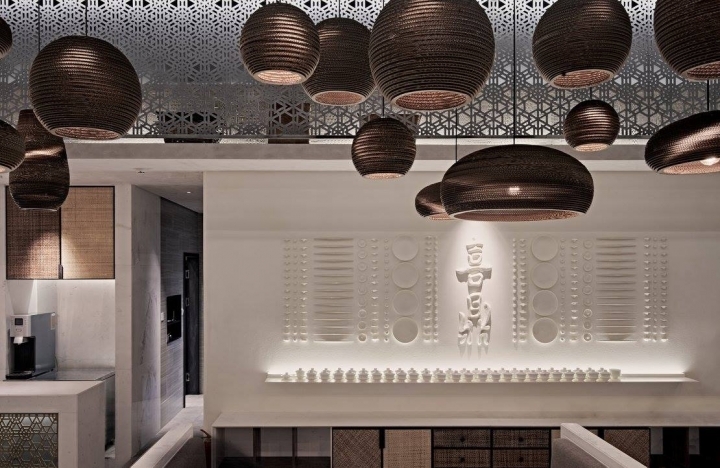 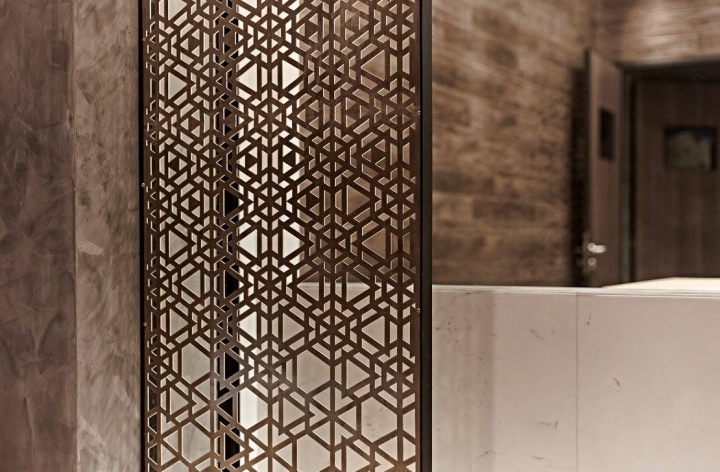 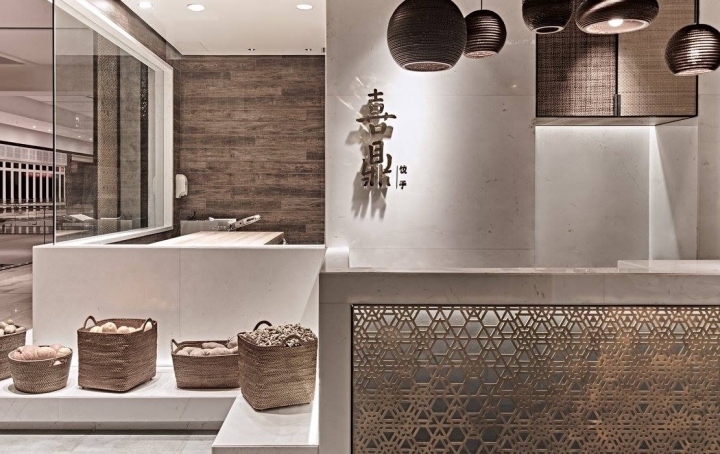 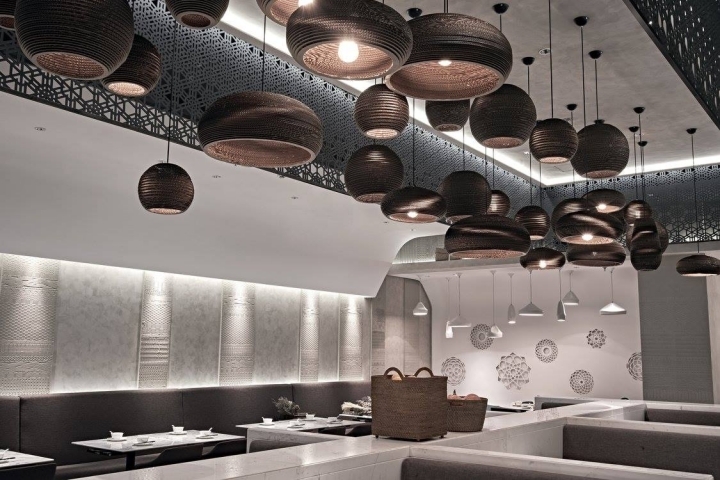 For example, geometric patterns within rattan wall panels call on the dumplings’ handmade characteristics. 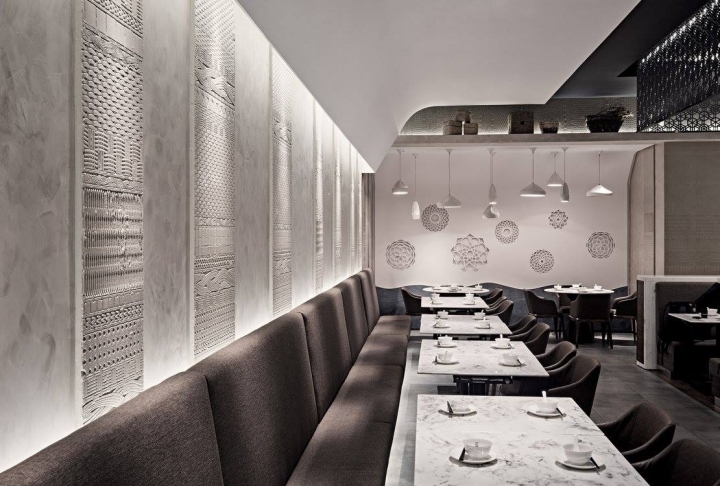 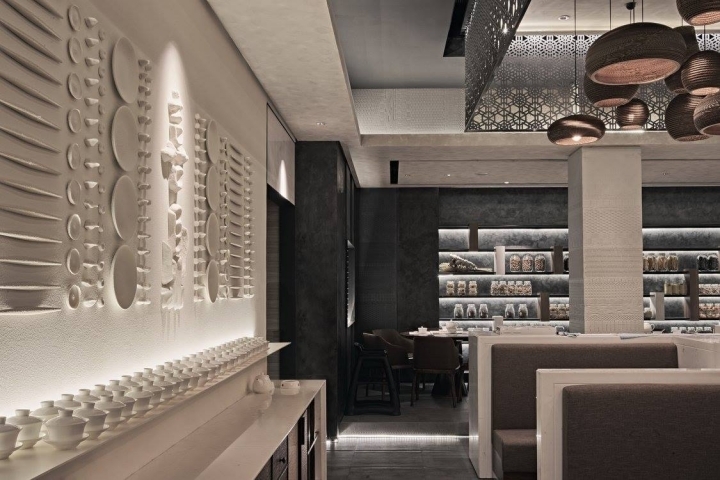 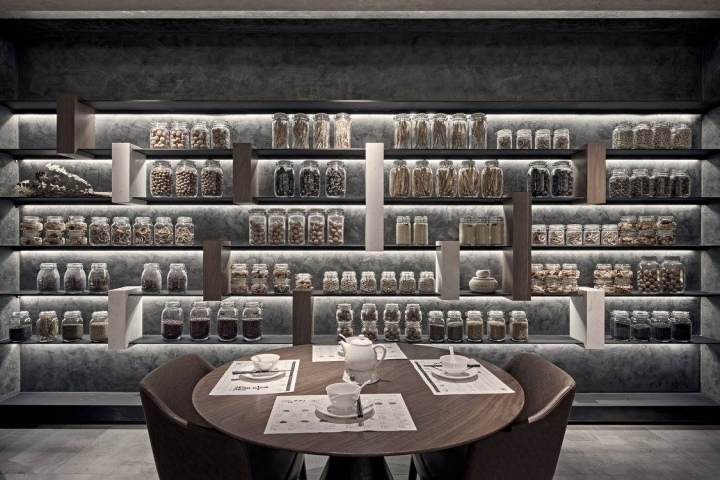 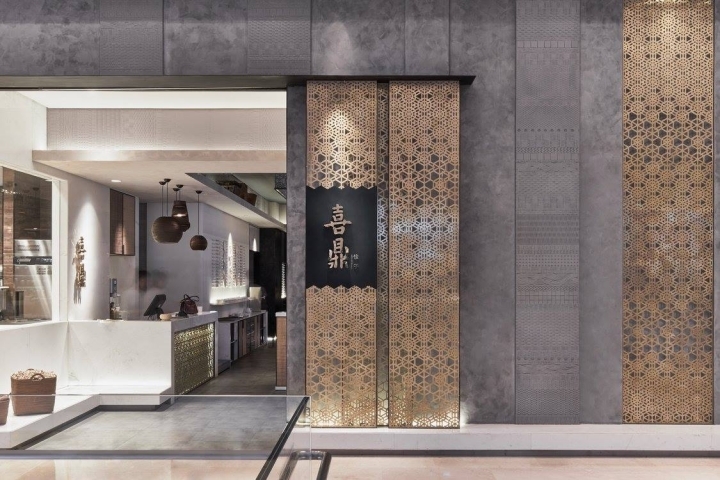 An open kitchen at the entrance emphasizes the natural, “fresh and healthy” essence of the brand, and interior walls encased in regimented rows of dinner plates and bowls reflect the characteristics of the simple dumpling. 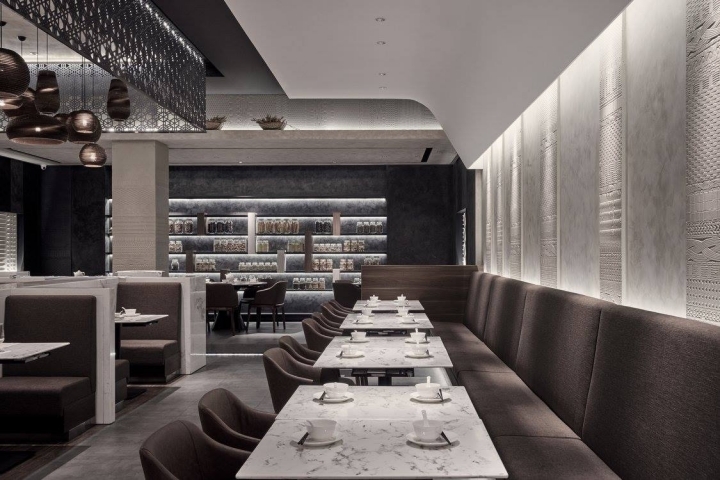 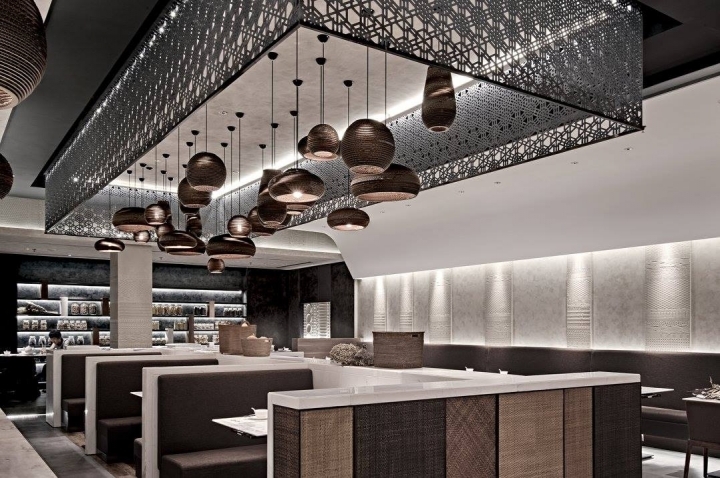 In its use of sophisticated lighting and an elegant but comfortable seating plan, RIGI has rebranded an everyday Chinese favorite into an upgraded dining experience.